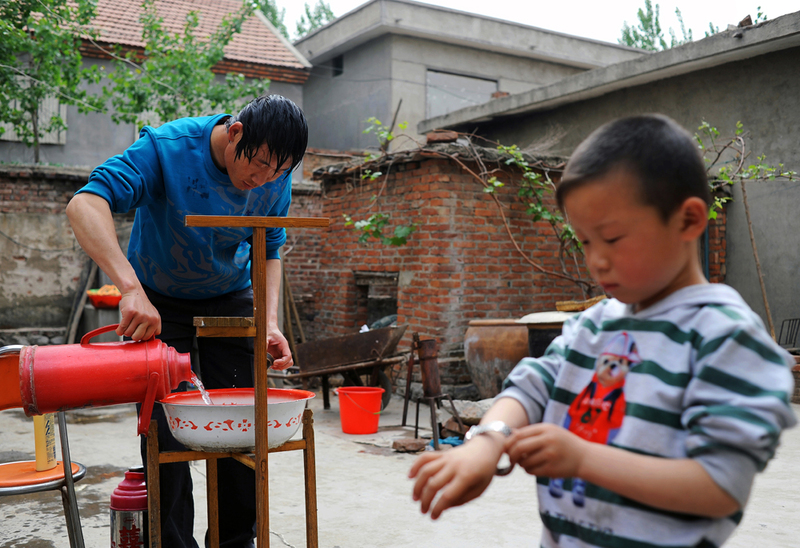 Li Chuan-hua washes his hair while his son, Li Jia-yi (5), plays with his watch at the courtyard of their house. The house hasn’t had a sewage disposal system connected yet. So there are no shower facility or running toilet available. Lin Yi-City, Shandong Province, China.